WATER ENERGY is both the energy of sea waves, energy stored in standing water reservoirs and the energy of flowing rivers. Water covers much of our globe; it is a huge mass that is constantly in motion. Energy extracted from water is its transformed potential energy. 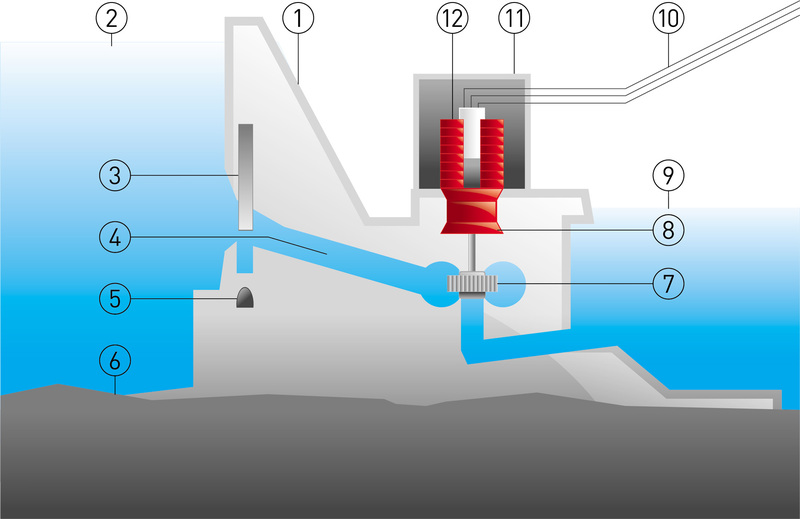 In water turbines, potential energy is converted into kinetic energy, and then converted into electric energy in generators. Inland water is of key importance for the energy sector. Hydropower has as much as 22% of the total global electricity production and is currently the most widespread source of renewable energy. The energy of water decline is used to generate electricity in hydroelectric power plants located on rivers or lakes. The potential energy of the water accumulated through damming up the weir or dam flows towards the lower level and is converted into kinetic energy that drives the turbine. The turbine put in motion drives the generator producing electricity, which is then fed into the power grid.